Do you struggle with what to send your email list? Are you are afraid of losing your subscribers because of all the promotional material you send? Building an email list is hard work. But keeping that list is even harder! You don’t want to lose their interest by not sending anything at all. But you also don’t want to annoy them and appear as spam by sending them too many emails. It’s important to establish a happy medium that works for your list. This means determining the right amount of emails to send and when. And what content to send to your list that they will actually enjoy. So without talking too much in the beginning about what this post is going to cover, why don’t we just go ahead and get right into this! 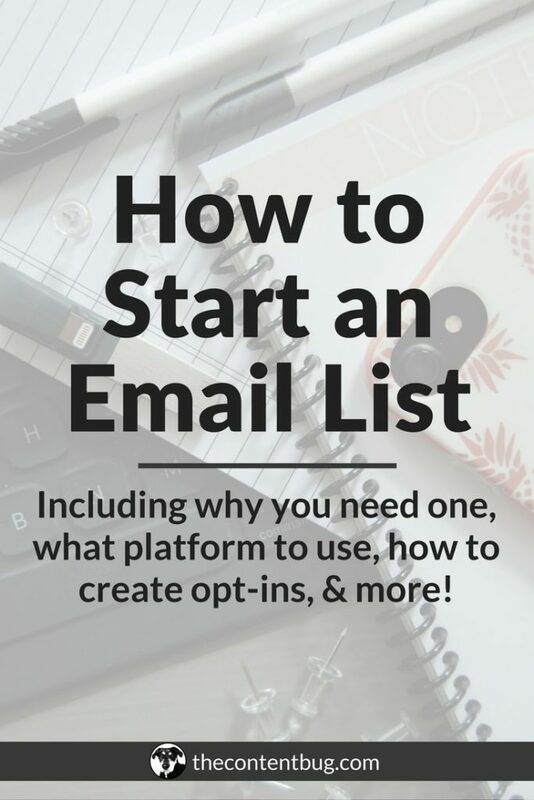 So you started an email list… now what?! What you send to that list determines how successful that list is going to be. 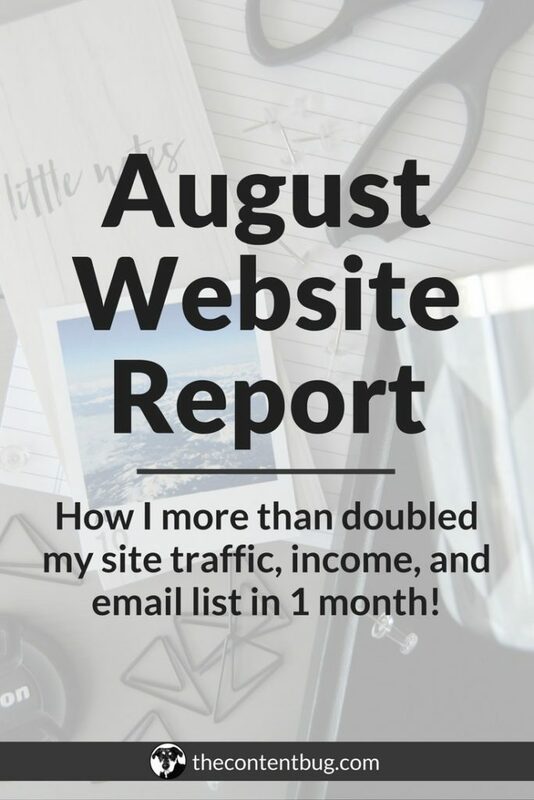 And did you know that your email list is one of the most powerful tools when it comes to monetizing your blog?! Seriously. It’s true. 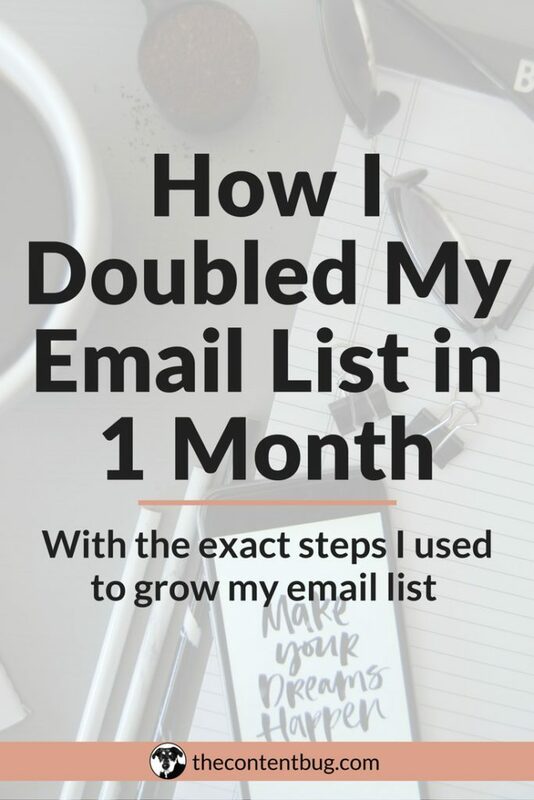 Several bloggers, entrepreneurs, coaches, and experts alike have talked about email lists being the greatest asset. Your email list is a more powerful tool than your social media following. And yet we continue to spend countless hours each week trying to grow our social media. So why not put some of that time into your email list. Determining what to send your email list can be difficult. I’ve started work on a Friday morning and stared at my computer wondering whether I should write an email to send to my list or just skip a week. I’ve looked at my email calendar and decided that the topic I had in place wasn’t good enough now and wrote something else. And I’ve even sent a few promotional emails in a row because I wasn’t paying attention to the previous content I sent. Managing your email list can be a drag. But it doesn’t have to be. 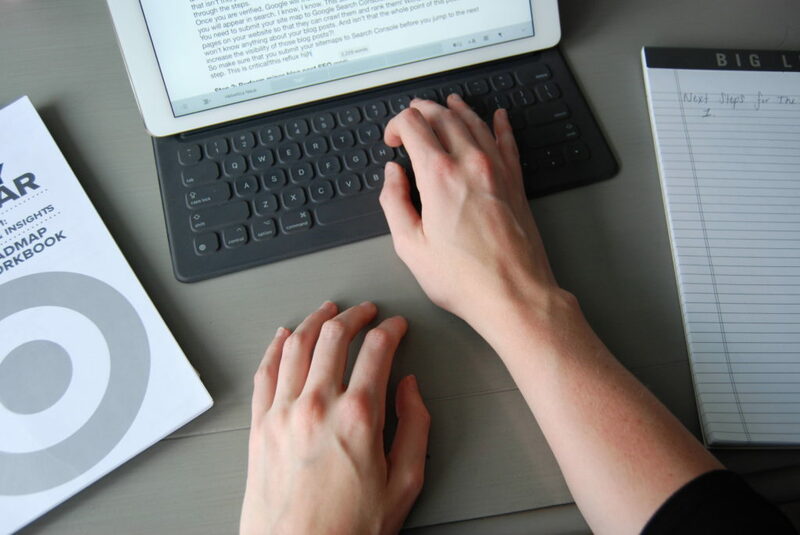 If you’re a blogger, then you gotta love writing! And if you love writing, then you should love having an email list because it gives you another opportunity to write! So it’s time to stop the negativity and turn your email list into something fun and worthwhile for you! 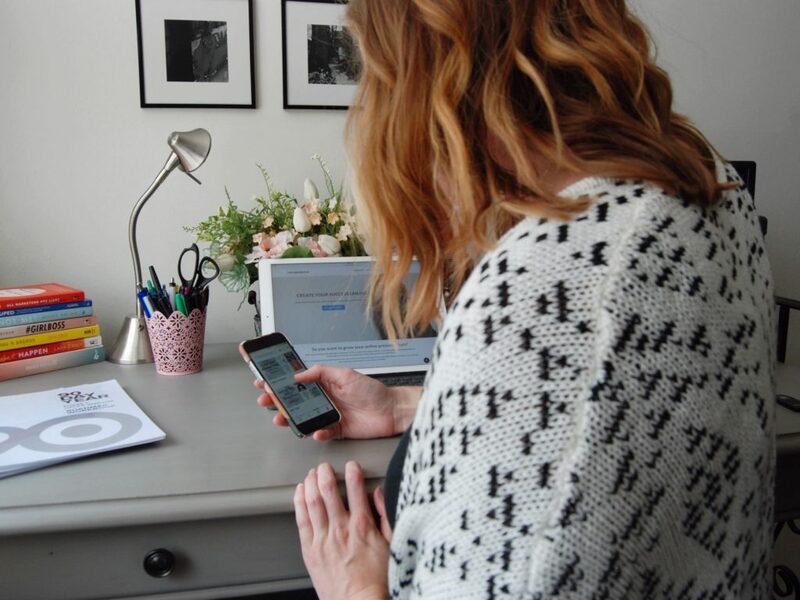 If you struggle to come up with ideas to send your email list, just know that you’re not alone. Call it blogger’s block or writer’s block. But I like to call it the email epidemic. Because there are so many bloggers, entrepreneurs, and businesses who are struggling too. And if that’s you, then go ahead and save this post right now. You definitely don’t want to be searching the internet for this information when all heck breaks loose and you want to delete your email list completely! Let this be your guide to never skipping another weekly email blast! Let this be your crutch when you are struggling. And let these ideas give you inspiration when you need it the most. The best part of your email list is that it’s an exclusive club that you have direct control over. And there aren’t many things that you have control over in this world, honey! With your website, anyone in the world can see what you publish. And with social media, anyone with an account on that platform can see what you post (as long as your account is public). But with your email list, you can use exclusivity to your advantage! Make your subscribers feel special and like they are in on the best-kept secret around. And to do that, I recommend that you share behind-the-scenes information that isn’t shared anywhere else! This information could be about what you are working on. Or an announcement on something launching soon. You could also share a behind the scenes look at your process (whatever that may be). Or even share insider information that you’re not sure if you want to publish on your blog. Anything that makes them feel included and like they are in on a secret, is guaranteed to win! Well, I just said that you could send them information on what you are working on. But there is something every better than that. You could send your subscribers a blast that asks for their input! But not just any input! You want them to feel like they were specifically chosen for this job because they have supported you! This should be an opportunity for their voice to be heard. But they should also receive another direct benefit that you provide. I tell my followers, subscribers, and readers that if you give me a content idea or recommendation, that I will give you a shout-out on Instagram! Now that may not seem like much. But to some, that’s everything! So make them feel included in the empire that you are building. But don’t forget to give them a little something in return. Promotional material?! No one actually enjoys promotional material! Well, my friend, that’s where you are kinda wrong…but also kinda right. Most people don’t enjoy promotional material. If someone even smells the scent of a promotion they will delete the email before even opening it up to see what goodies are inside. There is a time and a place for promotional material. And you need to be sending some promotional material to your subscribers! And the promotions that they will actually enjoy are the ones that they want in on. Okay. Okay. That was pretty vague. What I’m saying is that if you are sending promotional material where they have to pay hundreds of dollars for something, they won’t want it! But if you send them free access or a significant discount on something that helped you skyrocket your business, then heck yeah they will want in on that deal! And whatever your niche is, this might look different for you! All I’m trying to get across is that some promotion is good promotion. Just remember to look at it through your subscribers’ eyes. I tend to get the same questions over and over again. And sometimes, it’s not even the same questions as much as it is on the same topic. These could include processes I use within my business. Or how I manage my social media. I also get questions about Pinterest optimization and simple SEO. These questions vary, but I notice the same few every now and then. And you want to know what I do with those questions? Well, sometimes I turn them into blog posts if I think they are worthy of that much writing. But most of the time I turn them into email blasts! A question that 1 person has is a question that someone else probably has as well. They might just be too afraid to ask! So why not send an email about it?! 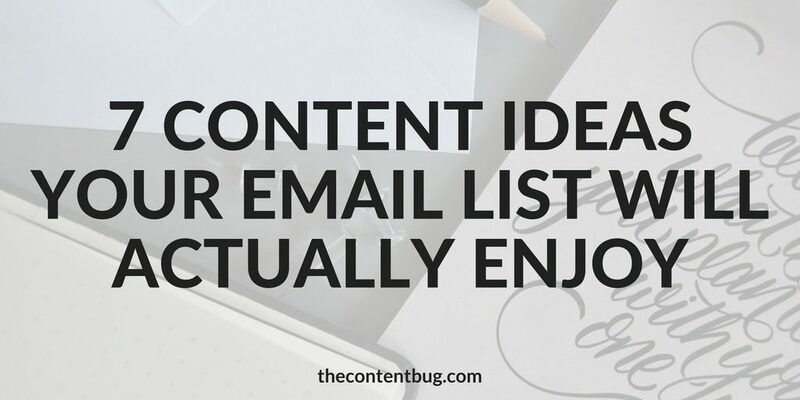 This is one content idea that you could expend out into hundreds of emails based on the question you get! And if you are really smart with your content strategy, this will also help for you to create a solid content strategy across all platforms. Your subscribers are on your email list for a reason. And that reason could be to get to know you more. Or to follow your blogging journey. Maybe they want to receive notifications about new blog posts. Or they are excited to get a sneak peek at what you do and how you created your success. It doesn’t matter what the reason is as long as you know the reason! If they are subscribed to get more information on how to paint the best watercolor pictures possible, then you better give them the best insider tips that you don’t share on your website or social media. Again, this is where you make your subscribers feel like they are part of a little secret. Send them information like “The best 3 tips I’ve never shared on my blog” or “The real key to my success that I’ve never told you”. These headlines are enticing! And they sure as heck make me want to know more about what you’ve been keeping from everyone else but you want to let me in on! There is nothing better than actionable content that your subscribers can actually use! Consider this one a mini “how to” for your email list. By sending actionable information that they can get done in 10 minutes, you help them in some direct way through your email! And really anyone wants is to see that they are receiving some benefit. So start creating some actionable content. What are some things that your audience could do right now to get ahead? What information do they need to know and what simple steps could they follow? But before you start to send these emails, make sure that you are thinking about the length. No one wants to read an email that’s the length of a blog post. Keep it short and to the point. And ask yourself if this task could be completed in 10 minutes or less! If it is too long, consider saving it for another platform. But if you can make it short, sweet, and extremely beneficial, then send it to your email list immediately! Leave the best one for last, right? Let me ask you something. What was the last piece of content that you remember? Now ask yourself, why do I remember that piece of content? If I could guess what’s going on in your mind right now, it’s that you remember that certain piece of content because there was a story attached. Whether it was a good story or a bad story, you now remember that content because it is attached to that story. And you see, that’s why story times are so effective! When you tell your subscribers about a situation or event that you experienced and turn it into a beneficial lesson for them, you will not only send them content that they will enjoy, but you will also be sending them content that they will remember! Storytimes are powerful! And they should be used in each piece of content that you create. Including the emails that you send to your list. So start thinking of some stories that you have saved up and start connecting them with a certain message that you could get across. I’m telling you, this content idea will work wonders! And the best part about this content idea is that these emails are typically easy to write. You don’t need to create the content, really. You just need to recall the content and place a unique spin on it. 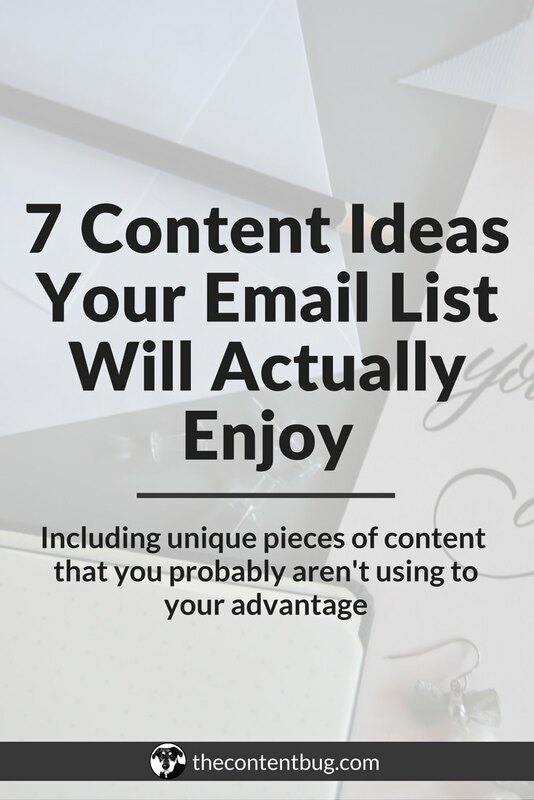 Now that you’ve got those 7 content ideas in your email toolbox, it’s time for you to start creating content. But I want to send you off with 1 more tip. Creating email content that you’re audience actually enjoys is as much about the topic as it is about the tone of the writing. If at any point you think that you email is boring, find a way to spice it up. And if you think that your email isn’t worth reading, then find a way to make it worth reading. Include the subscriber’s name, talk directly to them, and make sure that it sounds like you are speaking out loud to a friend. If you sound like a robot, they will just ignore you. So limit that from happening and focus on creating a friendly voice and tone that correctly represents who you are as a person and as a brand. And once you’ve got that down, then create a content calendar to keep you accountable for sending your emails.